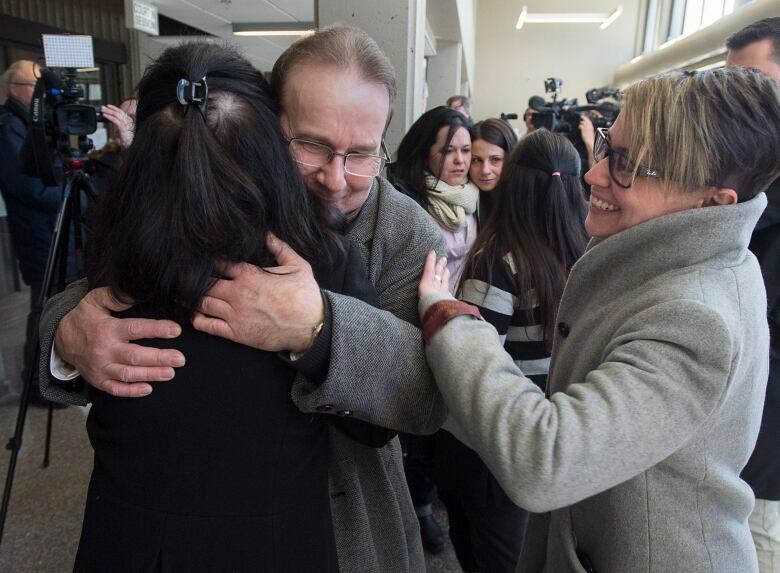 'I finally proved my innocence in a court of law,' says Glen Assoun, who was convicted of second-degree murder in the 1995 death of Brenda LeAnne Way. The federal justice minister today ordered a new trial for the Nova Scotia man, but the Crown isn't pursuing the case. A Nova Scotia man who spent nearly 17 years in prison after being convicted of killing his ex-girlfriend says he has proved his innocence, now that a new trial ordered Friday isn't being pursued. 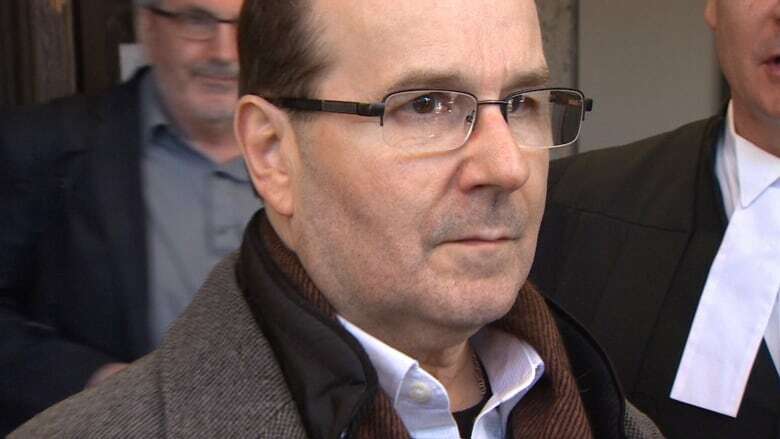 The case against Glen Assoun was dismissed in a Halifax court on Friday following a decision by the federal justice minister ordering a new trial. "I'm grateful for the outcome," said Assoun, 63. "I finally proved my innocence in a court of law." Prosecutor Mark Scott said in Nova Scotia Supreme Court that the Crown has reassessed the case and doesn't believe there is a realistic prospect of conviction, so is not pursuing another trial. Assoun was convicted of second-degree murder in the 1995 death of Brenda LeAnne Way. The conviction came with an automatic life sentence. At his first trial in 1999, Justice Suzanne Hood ordered that Assoun must serve 18½ years before he could begin applying for parole. Assoun has always maintained his innocence. The Nova Scotia Court of Appeal rejected Assoun's appeal and the Supreme Court of Canada refused to hear his case, so Assoun turned to the Association in Defence of the Wrongly Convicted, now known as Innocence Canada. The team of Toronto-based lawyers agreed to take on Assoun's case and started lobbying the federal justice minister to take another look. The whole process has been long and complicated. Way's body was discovered behind an apartment building on Albro Lake Road in Dartmouth on Nov. 12, 1995. The 28-year-old had been stabbed multiple times and her throat was cut. 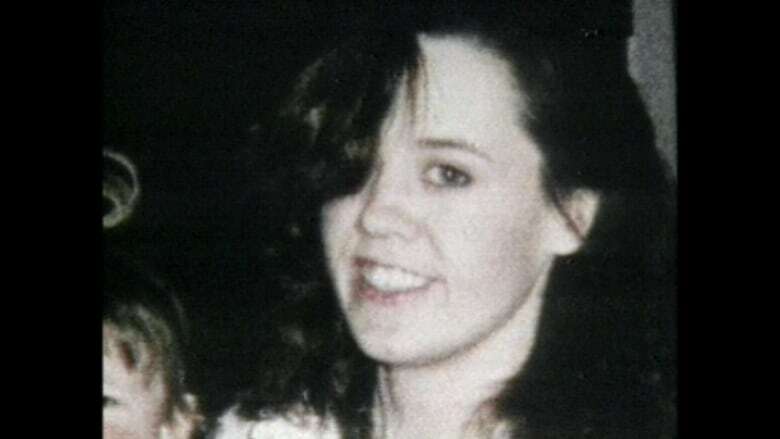 Brenda Way was found stabbed to death in Dartmouth, N.S., in 1995. Family members said Way, a former prostitute, was cleaning up her life and living with her father when she died. Assoun's trial started in the spring of 1999 and concluded the following September after he fired his lawyer, opting to represent himself. His appeal was heard in January 2006. When Innocence Canada started lobbying, the Conservatives were in power in Ottawa and Peter MacKay was federal justice minister. In November 2014, Assoun was granted bail while federal bureaucrats reviewed his case. He had been in prison for nearly 17 years at that point. At that time, Assoun was ordered to live in British Columbia. But his bail was modified in 2017 to allow him to return to Nova Scotia, as long as he stayed away from certain places and people who might be involved in a new trial, should one be ordered. "You kept the faith with your remarkable dignity," said Justice James Chipman in a rare address from the bench to an accused. "You are to be commended for your courage and resilience. You are a free man. I sincerely wish you every success." Outside court, Assoun's lawyer, Philip Campbell, said police withheld evidence that could have resulted in a much earlier acquittal. Both Campbell and Assoun said there should be a public inquiry. A spokesperson for Halifax Regional Police, Const. John MacLeod, responded with a written statement. "We believe our officers conducted a thorough investigation into Brenda Way's homicide at the time," the statement read. "Our thoughts are with Ms. Way's family, as we are sure today's news is disappointing to them. We share in their disappointment; however, we respect the process." CBC's Blair Rhodes livetweeted from court. To read on mobile, click here.